The garden as a place of meditation and connection to the natural world is a popular theme in garden literature. These three books emphasize the ways in which the garden can be a place of health—both for people and for other organisms. 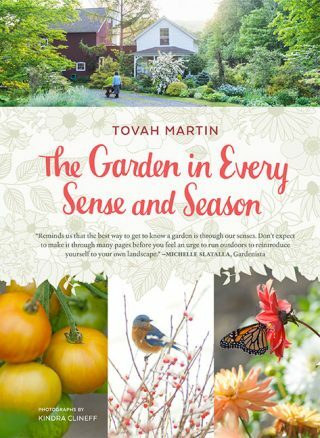 Anything written by Tovah Martin is a treat, and The Garden in Every Sense and Season (2018) is no exception. A chronicle of her garden throughout the year, it is a sensory journal—an experiential narrative that is evocative of gardens known, remembered, and imagined. This is not a step-by-step how-to book, but rather a window into Martin’s year in the garden. Readers will feel like they are following along as she completes her seasonal tasks, listening to thoughtful and confident advice about garden chores. While not every seasonal task is mentioned, Martin’s experience and advice offer insight into how she gardens and food for thought for others who are fortunate enough to do so as well. More text-heavy than most contemporary gardening books, it is in some ways a collection of sensory essays—the challenges and successes of a gardener’s year. 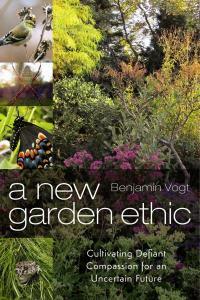 In A New Garden Ethic: Cultivating Defiant Compassion for an Uncertain Future (2017), Benjamin Vogt asks: “Do we choose to garden for ourselves only, for our idea of beauty alone, or do we more fully—more equally—integrate a selfless gardening that builds ecosystems composed of essential native plants and designs that mimic the natural, wilder areas just beyond the garden fence?” Vogt’s is a timely question and his book touches on topics ranging from non-native species to plant and pollinator interactions to humans and their environment. The book is divided into five sections—A New Garden Ethic; More Than Native Plants; Why We Believe What We Believe; Urban Wildness and Social Justice; and Speaking the Language Again. Vogt holds a Ph.D. in creative writing from the University of Nebraska-Lincoln, and is adept at setting each vignette and scene in his garden during different seasons. Through this device, and by framing the book through the lens of his experience as a gardener, he encourages readers to think of their gardens not only as places of beauty for humans, but environments in which humans should learn from other animals and design spaces to meet the complex needs of flora and fauna alike. Advocating for compassionate activism, A New Garden Ethic is at times reminiscent of Aldo Leopold’s style and an enjoyable read for those who take pleasure in more classic nature and garden writing. 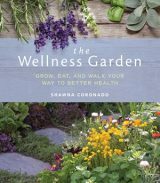 The Wellness Garden: Grow, Eat, and Walk Your Way to Better Health (2017) by Shawna Coronado offers general advice to readers who would like to improve their health through the use of gardens. Coronado, a “wellness and green-living lifestyle advocate,” writes about her own experience of changing her lifestyle after being diagnosed with osteoporosis. The book focuses on diet, exercise, and “therapeutic gardening.” Written with a layperson’s understanding of these three disciplines, the book offers some inspiration for those who would like to live healthier lifestyles, but is at best a distillation of more scientific or reputable works.